Why do you wear what you wear? Why do you like what you like? Why do you think what you think? Why do you feel the way you feel? Why do yo behave the way you behave? Take a minute and really think about these questions. A meme is something imitated; "an idea, behavior or style that spreads from person to person within a culture", through writing, speech, gestures, rituals or other imitable phenomena. Memes influence our view of the world, and just like genes, they can vary, mutate, compete, inherit and may become extinct. Although the meme theory is heavily criticized, I find it conceivable that through selective replication, ideas and behavior can form, change and define cultures. When we are exposed to a new meme, it rarely instantaneously infects us. First, we emotionally and rationally, consciously and unconsciously, asses it, comparing it to the current set of values, thoughts, beliefs we hold. We often dismiss it, especially if it conflicts with our thoughts, values or emotions. Sometimes we adopt the new meme as a whole. Sometimes we modify it. When we internalize it, we intentionally or inadvertently transmit it to others through speech, behavior or writing. The exact process by which we adopt meme is a complicated subject that involves the unconscious mind and our social needs. We are not Vulcans - unfortunately. Since the Age of Enlightenment in the 18th century, disability has generally been viewed as a medical problem. Medical professionals have focused on treating what the disabled could not do, rather than improving what they could. In the recent years, we are beginning to accept people with disabilities in our communities by removing the barriers that challenge them and by focusing on their strengths. 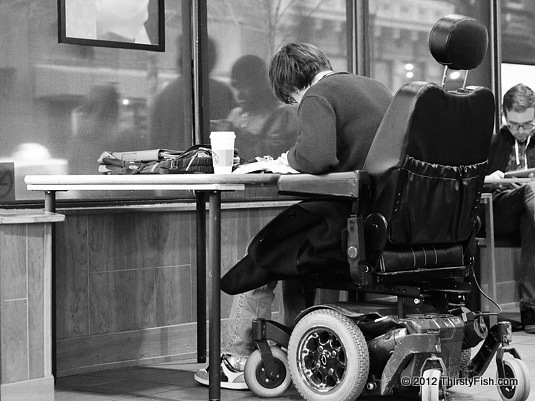 This new social model of disability is slowly gaining widespread acceptance in modern cultures. In the past, why did people view the disabled in such dreadful ways? Was it just meme? In the 21st Century, can we develop a new meme? How?